- Draw a straight line, longer than your foot, on a piece of paper. - Place a mark on the line at the tip of the longest toe and at the back of the heel. - Measure the distance between the marks. - Write this number down and select the size. 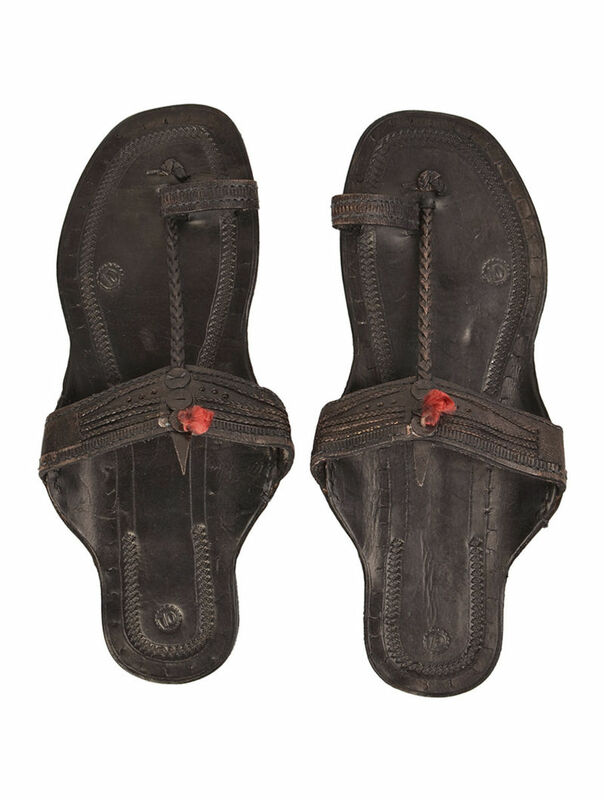 - Elegant and traditional, these Kolhapuri chappals are handcrafted from buff-leather. - Sturdy and durable, these can be used for daily wear. Disclaimer : These Kolhapuri Chappals are hand-dyed and the color may bleed slightly on initial usage. Refer to the Description above.